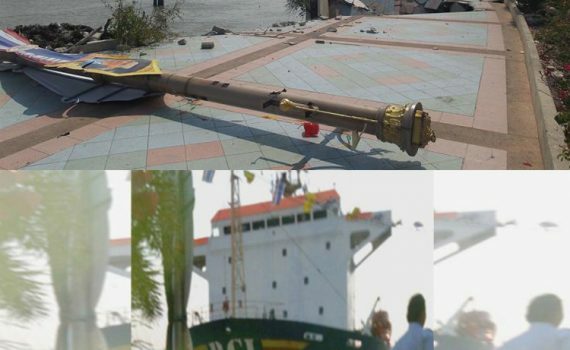 Das unter der Flagge Singapurs fahrende Containerschiff XETHA BHUM rammte auf dem Chao Praya Fluss in Bangkok, am 14. Februar während der Hafenausfahrt die Einkaufspassage am Ufer des Flusses. Nach Angaben der örtlichen Polizei verlor die Crew durch starke Wasserturbulenzen ausgelöst durch die heftige Strömung, die Kontrolle über die Steuerung des Schiffes. Containerschiff XETHA BHUM, IMO 9046411, dwt 15302, Kapazität 938 TEU, Baujahr 1993, Flagge Singapur, Manager RCL FEEDER PTE LTD., Singapur. 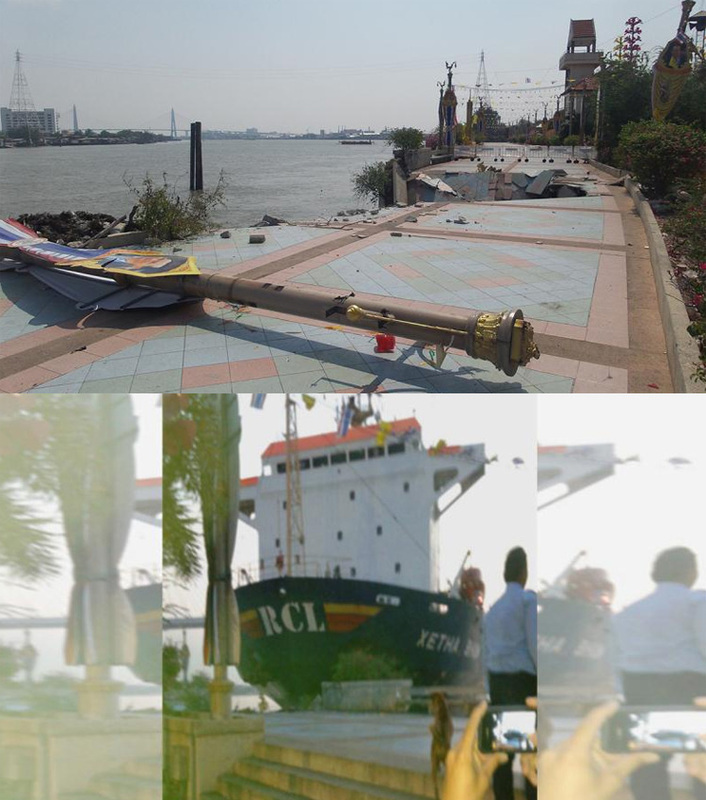 The sailing under the flag of Singapore container ship XETHA BHUM rammed on the Chao Praya river in Bangkok, on February 14, while the port exit the shopping mall on the river bank. According to the local police, the crew lost by strong water turbulence triggered by the strong current, the control over the steering of the vessel. Container ship XETHA BHUM, IMO 9046411, dwt 15302, capacity 938 TEU, built in 1993, Flag of Singapore, Manager RCL FEEDER PTE LTD., Singapore.